The American Association of Orthodontists recommends first orthodontic exam and screening at age 7 which is usually the age at which first molars and incisors grow. Certain orthodontic problems should be addressed at an early stage to avoid negative consequences and to facilitate orthodontic treatment in the future. 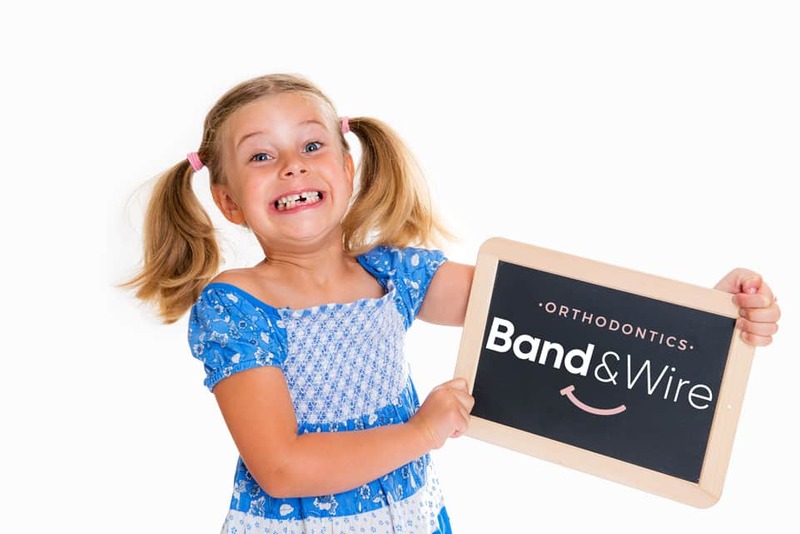 Upon examining and reviewing your case we will make a recommendation whether to monitor your child’s growth and do a follow up after a certain number of months or to make a recommendation for early (Phase I) orthodontic treatment. 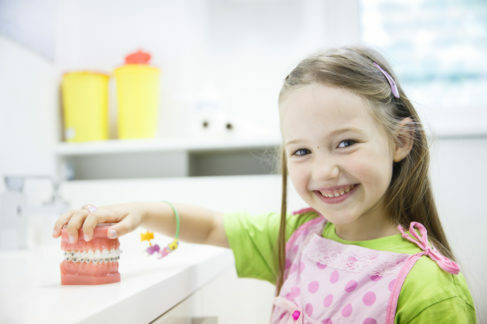 Orthodontic screening of your child at age 7 is simple, safe and highly recommended. It helps us formulate a long term strategy with you to address any possible orthodontic concerns. In most cases, we prefer delaying orthodontic treatment until your child is ready for full comprehensive orthodontic treatment. However, in certain cases, limited orthodontic treatment is recommended at a young age even if deciduous (baby) teeth are present. This type of treatment is often referred to as early orthodontic treatment or Phase I orthodontic treatment. The main purpose of this treatment is to correct any orthodontic problems that if otherwise, left untreated, can have negative consequences on the dental, gingival & oral health and in some case may affect jaw growth. 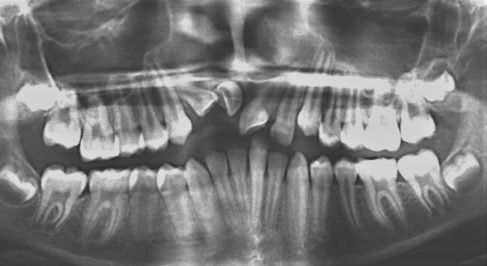 For example, an anterior crossbite may cause excessive enamel wear of incisors, may cause gingival recession and may affect the direction of lower jaw growth causing facial asymmetry in severe cases. Another example is the underbite, a condition in which the lower jaw overgrows the upper jaw. It is best to address underbites at a young age (7-8 years old) because it is much more effective than it is at an older age. It is important to understand that in most cases, Phase I orthodontic treatment is elective and not necessary. Our goal is to make a sound evidence-based recommendation based on our findings. We will definitely let you know f your child needs Phase I treatment. On the other hand, if Phase I treatment is optional and can be avoided then we will let you know as well. For a typical Phase I orthodontic treatment we utilize limited braces on front teeth in addition to a palatal expander in certain cases to widen the upper jaw. Treatment is usually finished in 6-12 months but can take a little longer in more complex cases. After finishing Phase I treatment, which typically takes 6-12 months, we will continue to see your child on a regular basis to ensure the stability of the results and observe permanent teeth as they grow. Once all permanent teeth are present we will make a recommendation for Phase II treatment. You can read more about Phase II treatment by clicking here. 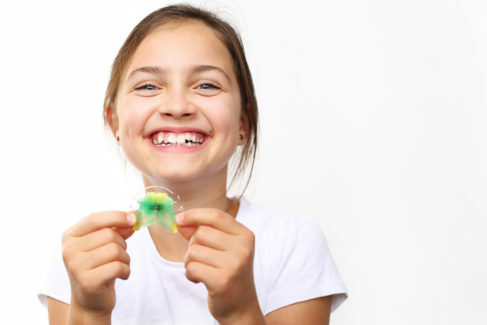 Interception orthodontic treatment refers to limited orthodontic procedures that are performed to prevent certain orthodontic problems in the future. A good example is the use of space maintainers. Early loss of a primary (baby) tooth can result of loss of space which can cause the permanent tooth underneath to be blocked from growing (impacted). Placing a space maintainer is a simple solution that can prevent such occurrence.